Spring has sprung in San Diego! This can be among the most temperate time to visit, with plenty of opportunities to spend time outdoors. The immediate area surrounding La Pensione Hotel offers enough entertainment to keep you busy, but we suspect you’ll want to visit other areas of San Diego County while you’re here. 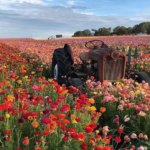 Besides San Diego’s theme parks and the World-famous Zoo & Safari Parks, a popular destination for visitors and locals this time of year is the Carlsbad Flower Fields. A sight to behold in person, these historic flower fields paint the landscape with vivid color on over fifty acres of property. The fields are ticketed for entry and are approximately 30 miles from La Pensione, so you might want to have a rental car for this outing. The gardens are open now through May 10th. If you’re looking to keep close to Little Italy, San Diego is rich with street fairs and music festivals just a short ride away, including the CityBeat Beer Fest in North Park (April 7) , VinDiego Grand Tasting Event at Liberty Station (April 14) and the 48th Annual Chicano Park Day Celebration in Barrio Logan (April 21). 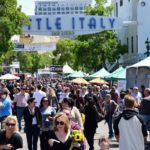 Our own annual Little Italy ArtWalk (April 28-29) is an absolute must! If you’re here for Mothers Day weekend, get tickets to annual Gator By The Bay Music, Louisiana Food, and Crawfish festival (May 9-11), which takes place just down the street by the airport. Of course, we also have one of San Diego’s most popular Farmer’s Markets, Little Italy Mercato, every Saturday morning right here in the neighborhood. 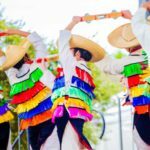 Forecasting throughout May, you might also want to check out the huge annual Cinco De Mayo festival in the historic Old Town State Park (May 4-6). Also worth mentioning are the free North Park Festival of Arts (May 19), or—also free– Fiesta Del Sol in Solana Beach (May 19-20). And once we reach June, the San Diego County Fair is in full effect starting June 1st. Depending on when they bloom this spring, you’ll love the colorful jacaranda trees lining the streets all around the city in May and June. San Diego is especially beautiful during the springtime, and has no shortage of events, restaurants, and beautiful year-round sights and destinations to make your visit to La Pensione one to remember as a top vacation destination. For a comprehensive list of festivals and events in San Diego spanning through the end of 2018, visit SD: DialedIn.